A smart thermostat is just one way to make your smart home more efficient this winter. One of the biggest benefits of having a smart home is the small conveniences you can take advantage of as the seasons change. 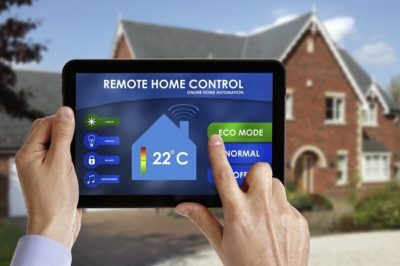 Whether you began adding to your smart home during the holiday season or are just getting started on the smart home features that will make your home a more comfortable place to live, Integrated Technologies Group can help! Here are some of the best features to add for the winter months. Smart thermostats are useful throughout the year, but they especially come in handy during the winter. Many of the newest smart thermostats are actually learning thermostats. They will learn from your usage patterns and anticipate them so that your heating will automatically lower after you head to bed for the night and kick on right before you put your feet on the floor in the morning. Smart thermostats take the guesswork out of using your thermostat and can offer you enormous savings. Many people focus on avoiding wasting heat by kicking their HVAC system on, but wasting heat through cracks in the windows can be an even more expensive thing. Smart blinds and motorized shades can trap the heat you’ve already paid for inside of your home and your home will stay warmer for longer. These shades can let in the bright morning sun and then go down in the afternoon, when the risk of heat escaping creeps up. While you might spend a little bit more on lighting inside of your home when they are down, keeping your home warm and cozy will definitely be worth it. These are newer devices on the smart home market and are installed near any pipes in or outside of your home to detect freezing. Frozen pipes and leaky faucets are all ways to lose money slowly over the course of the winter. More importantly, these can detect frozen pipes before they potentially burst and create a bigger, more expensive problem. Ready to add smart outlets or home automation to your home? Integrated Technologies Group has the expertise and great prices to make it happen. We have been providing Maryland residents with top notch home theater services, home security services, and home automation services for over a decade. We work throughout Maryland, Pennsylvania, Virginia, Delaware, and West Virginia. Ready to get a quote to make your smart home dreams a reality? Give us a call at 1-800-560-3280 or visit us online. For more informative articles, follow us on Facebook, Twitter, Pinterest, and Google+. This entry was posted on Friday, January 19th, 2018	at 6:32 pm	and is filed under Home Automation	. You can follow any responses to this entry through the RSS 2.0	feed. Both comments and pings are currently closed.